Exelby Green Dragon Community Pub – Own a Yorkshire Pub! We have bought a pub! On Friday 12th October 2018 we completed on the purchase of the Exelby Green Dragon! We have raised sufficient investments to purchase the Green Dragon and the cottage with access to over £350,000 of funding. From December 2018 the pub will reopen and we look forward to welcoming you. Further investment will go towards completing the refurbishment works to both properties. We hope you can invest and join us on this very exciting journey. The Green Dragon has been a focal point in the community of Exelby for many years and with your help it will become all this and more once again. Sadly, in recent times the pub became less than well cared for with irregular opening times, no food service and an absentee landlord. We believe that the Green Dragon once again can be a vibrant public house and hive of community activity and we have now found exceptional tenants Tom and Becci Baker to share our vision and take it forward. We have been successful in applying to Hambleton District Council for the Green Dragon to be listed as an Asset of Community Value and we have the go ahead to develop the cottage as Community Led Housing, providing a high quality home at an affordable rent for the benefit of the community. Now, we can all have a voice in any decision-making about future development. The Exelby Green Dragon will be a community pub and more with a café, shop and space to become a vibrant community hub for everyone. We have formed a Community Benefit Society so that everyone can have a say and the pub will be protected for future generations. By buying community shares in Exelby Green Dragon Community Pub Ltd you too can own a little piece of Yorkshire and a big part of our community. We have the support of the Plunkett Foundation and The Pub is the Hub together with an energised village that really wants to make a difference. Imagine having a pint or meeting friends for a meal in your very own country pub! 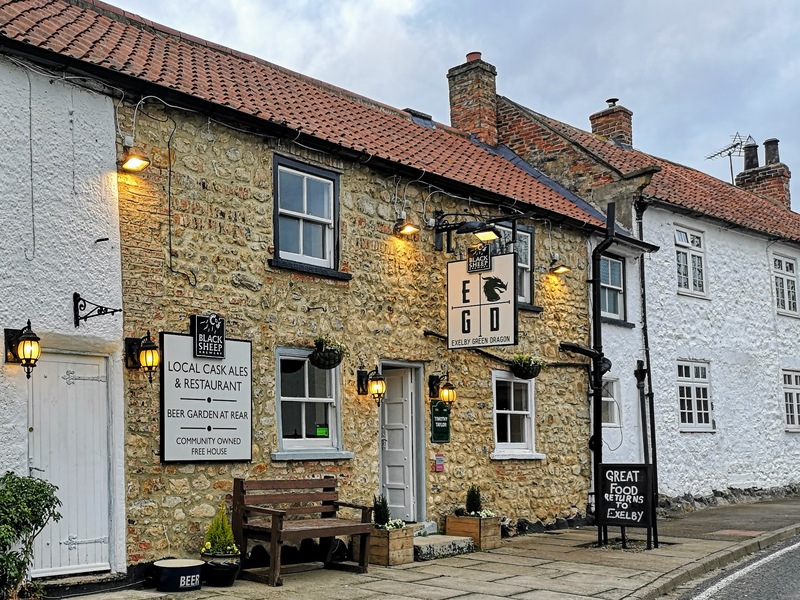 Shareholders and customers old and new will always be assured of a warm and genuine welcome at the Exelby Green Dragon. If you would like to get involved, please do not hesitate to get in touch! If you would like to make aninvestment in our Share Offer, you will find all the information you need here. If you would like to join us on our journey we would be happy to have you on board. In particular we are looking for people with sales and marketing skills with a passion for social media. Could you be a Green Dragon Ambassador?